According to the EPA, indoor air can be 2 to 5 times more polluted than outdoor air. In fact, in some situations, indoor air can be as much as 100 times more polluted than outdoor air! Indoor air pollutants are ranked as one of the top 5 biggest environmental risks to public health. 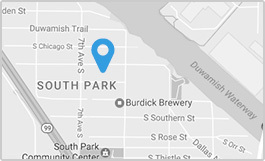 We offer a variety of products and services that are designed to vastly improve the quality of the air in your home. These include duct cleaning, air cleaners, UV air purifiers, ventilators, and humidifiers. 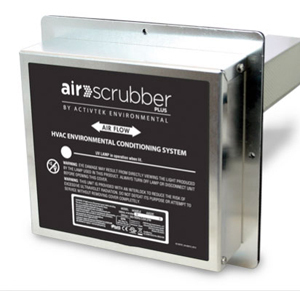 Air Scrubber Plus® with ActivePure™ technology, makes cleaning surfaces, mopping up offending odors, and reducing harmful airborne contaminants as simple as turning on your furnace, fan, or air conditioning system. Why spray and scrub surfaces or disguise strong odors with toxic chemicals? Air Scrubber Plus® not only purifies the air in your home, it reduces strong odors by naturally mopping up the particles that keep those odors lingering. Unlike air filters that are passive - Air Scrubber Plus® actively treats the air by continually sending out ActivePure scrubbers throughout your home to greatly reduce chemicals, dangerous contaminants, mold, odors, and pollutants in the air. 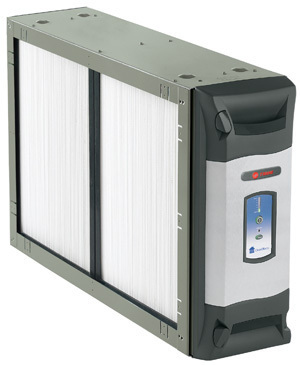 Highest Efficiency - Standard air cleaners have filters that are very dense, so they stop the dust by trapping it in a slightly porous filter. The fewer the pores the more dust it can trap. However, this not only stops the dust and dirt, but it also stops the air from moving as well. So you may not be as comfortable, and less air is cleaned efficiently. This is called pressure drop. The revolutionary Trane CleanEffects™ air filtration system has the lowest pressure drop with the highest efficiency possible. Small Particles, Large Effects - Particles like dust, smoke and bacteria are often .3 microns or less. At that size, allergens can get deep into your lungs because they aren't filtered well by your nose and throat. An effective whole-house air cleaner, such as Trane CleanEffects™, can reduce the presence of potential asthma and allergy attack triggers in your home, like dust, pollen, pet hair and dander, dust mites, mildew, lint, fungus, most tobacco smoke, cooking grease, and even bacteria. Patented Innovation - Trane CleanEffects utilizes patented, breakthrough air cleaning technology to remove up to an astounding 99.98% of airborne allergens from the air that passes through the filter. It catches particles as small as .1 micron, making it 8 times more effective than even the best HEPA room filters and up to 100 times more effective than a standard 1" filter. Verified by Harvard Experts - Trane CleanEffects has been performance-tested by LMS Technologies and Environmental Health & Engineering, Inc. (EH&E), with the results verified by professors from the Harvard School of Public Health, so you know you are getting an air filtration system like no other. Dirty heating and air conditioning ducts and filters are a major cause of indoor air pollution and contaminants in your home. Having your ducts cleaned annually can greatly reduce your home's pollutants and contaminants.